The Beach Front Dive Shop in Puerto Viejo is a few barefoot steps away from the turquoise warm waters of the Caribbean Sea. 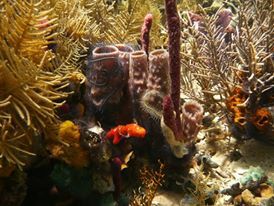 It has a growing reef close to the shore and offers a unique marine biodiversity, packed with fish and living coral. For a first-timer in the underwater kingdom, it is hard to imagine a more spectacular environment. Shore dives are what you need as a beginner! 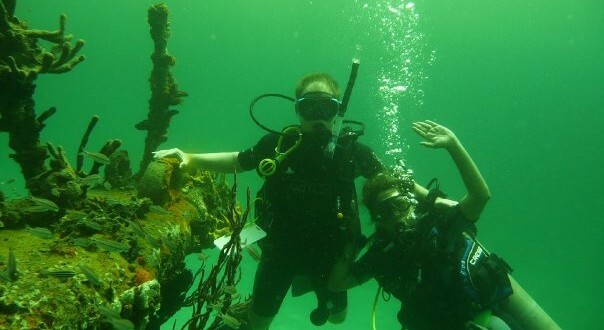 If you are an experienced diver you will love the adventure, the underwater journey. The ultimate rain forest, the friendly “pura vida” atmosphere of the people will give you a lifetime experience! 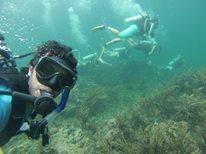 You'll also receive one hour specialized Spanish to become familiar with all the Spanish words for the diving equipment, the undersea world, useful phrases and commands that will be used. ﻿Miles of coastline translate into miles of colorful reef and abundant aquatic life bordering each island. 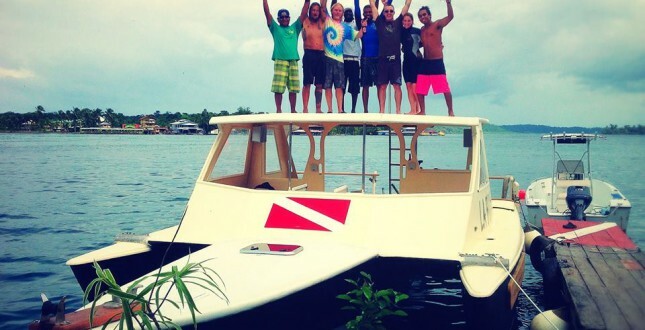 Although visibility peaks during the dry seasons (February to April and September to October), Bocas offers "better than average" conditions all year long, even in our gentle rainy season! 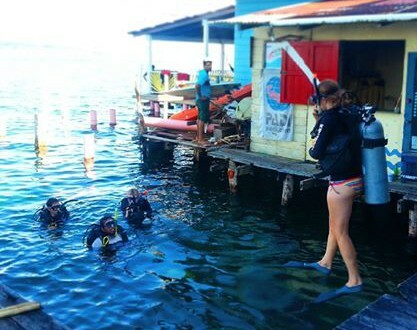 Due to warm water, calm conditions and highly competitive pricing, Bocas is among the most ideal places to participate in scuba education. Most requested option is the Spanish + Open Water Certification program.